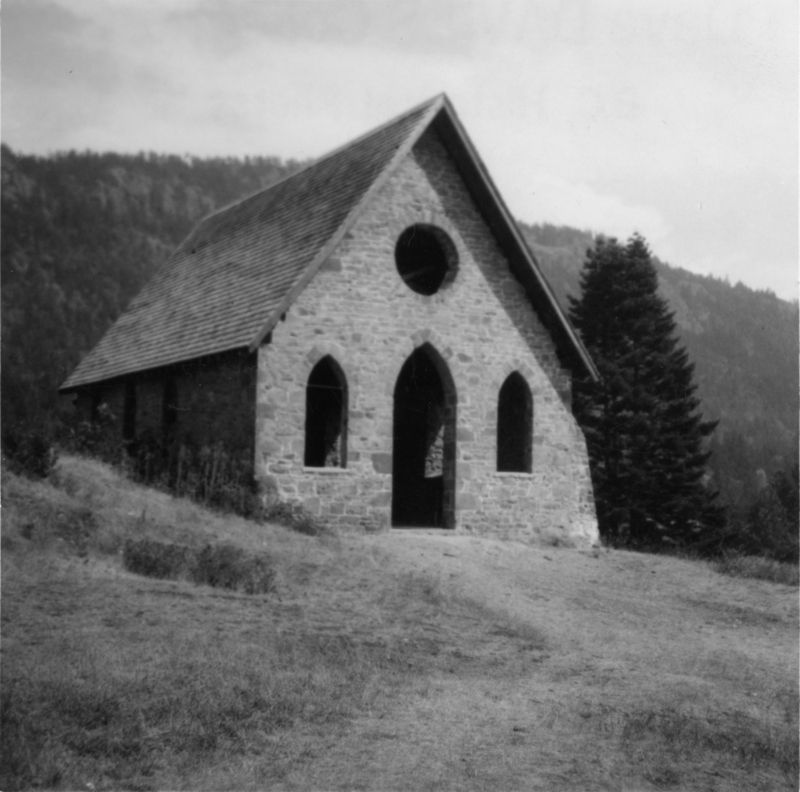 Photograph depicts "Butterchurch" that was built in 1870 under the direction of Father Rondeault of the Oblate Order for missionary work among the Comiakan Natives, a tribe of about 100. It was abandoned by about 1880 because of its location. It was recently restored as a historical shrine.